I recently got a new stamp set from My Favorite Things and wanted to ink it up right away. It's called Pretty Pocket and is a fun set. Last weekend I made a quick birthday card using it and Papertrey's Tag Sale #2 die (a favorite of mine). 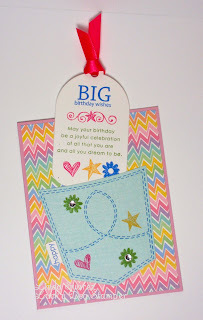 Yup, I made another tag card for the INKers June Challenge. 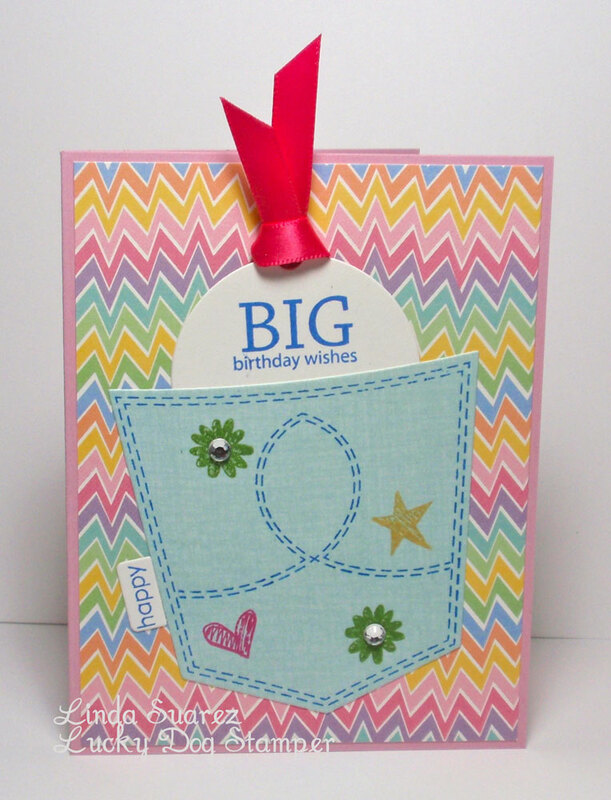 Isn't that pocket perfect for a tag or gift card? The birthday tag. LOVE it! Yesterday we attended our daughter's final presentation at FIDM and she totally nailed it! We are so proud of her. Her teachers told us it was one of the best presentations. Tomorrow is the graduation ceremony! Yay! Great card Linda!! I love the pocket stamp!! Congrats to your daughter! !